Within all of the different marketing channels and tactics, online search has risen to become the most important venue for every industry, including real estate. A joint study by LoopNet and Google found that 59 percent of individuals looking for commercial real estate opportunities began their buying journey by looking online. Within the investment property and small balance commercial market alone, there are over 50,000 searches each month. So, knowing how to leverage search engine strategies is an absolute imperative for brokers who want to reach prospective clients and grow their businesses. There are two primary search engine strategies that brokers can use to increase their exposure in Google, Bing, Yahoo, and other search engines. The first is Search Engine Optimization (SEO), which is the process of optimizing your website and listings to appear for high-value keywords in search results. The second is Search Engine Marketing (SEM), or paid search, where you pay to show up at the top of those same search page listings. Brokers can use a seven-step checklist to quickly and effectively scale up their online presence to reach buyers of residential 1-4, multi-family units, mixed-use buildings, and small balance commercial properties and connect them with sources of financing. Real estate is a highly competitive market in search. For example, the keyword term ‘real estate loans’ costs an average of $21 per click in Google Ads. However, when a keyword includes a local-modifier, such as ‘real estate loans California,’ that figure is cut down more than half to an average of $10 per click. 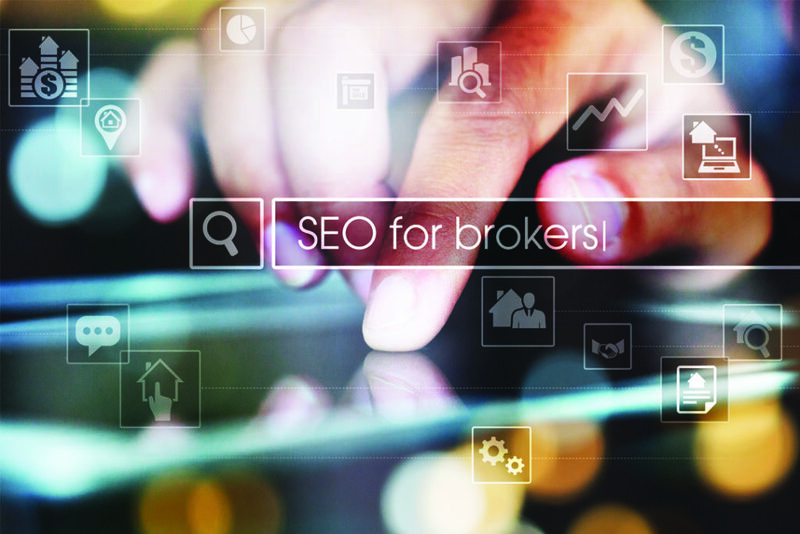 Therefore, the most effective search engine strategies for brokers start locally. Keywords targeted — both in Google Ads and in SEO through a website — should reflect the broker’s local market. Thus, a mortgage broker who uses keywords such as ‘small balance commercial properties Los Angeles’ has a better chance of ranking higher in search listings for that particular search. To start optimizing your keyword strategy, brainstorm a list of the most important keywords your buyers may use (with a locally focused modifier), and leverage Google’s Keyword Planner tool to take a look at the search volume, average cost-per-bid, and organic competition. Aim for keywords that have higher search volume and lower competition. Google My Business listings are the Yellow Pages of the digital age. These card-shaped snippets feature a business’s name, phone number, address, and reviews. It shows up when people enter a locally-focused search term into Google. My Business listings in Google are often at the top of searches and take up a large amount of valuable space on the search engine results pages (SERPs). Verifying and editing your Google My Business listing to show an engaging description, accurate hours, and solid reviews is an extremely effective search engine strategy. You can find detailed instructions here. In the real estate market, 60 percent of users have searched using their mobile phone. Taking the proper steps to ensure that your website is mobile-friendly through responsive design will make sure these users don’t have a bad experience and bounce to a competitor’s website. You can check the mobile-friendliness score of your website here. To show in organic search for a keyword, you have to have a page on your website that includes multiple uses of the keyword. Writing consistent blog entries, based on your target keywords, will increase your website’s exposure in organic search. A well-written and high-ranking blog post should be between 350 to 1,000 words in length. While Google doesn’t disclose an ideal number for keyword density, many agree that one to three percent of your blog’s content should be the target keyword, so a 1,000-word blog post should include 30 uses of the keyword. The keyword should also appear in the page title, linked URL, search snippet (the description that appears under a search listing) and page subtitles to rank higher in search results. Directories like LoopNet, CoStar, and local directories in your area, are important for increasing reach online. Google places a higher value on websites that have high-quality links around the web, and the directory listings can increase eyes on your website. Search around and make sure your listings exist there and are accurate. While SEO efforts can take time and patience, Google Ads can have your website getting key traffic from search immediately. Start by determining a list of top, locally-focused keywords (e.g., “multi-family financing”). Next, set a budget. Then begin writing engaging, high-quality ads using the Google Ads tool. The process may seem a bit challenging for those who aren’t familiar with writing Google Ads, but once you’ve created a few ads of your own, you’ll find it’s relatively simple. Be sure to read Google’s Guide to Google Ads before you start. Once your campaign is running, monitor the performance of each keyword based on its cost per click and reallocate your budget and blog strategies toward the best performing keywords. 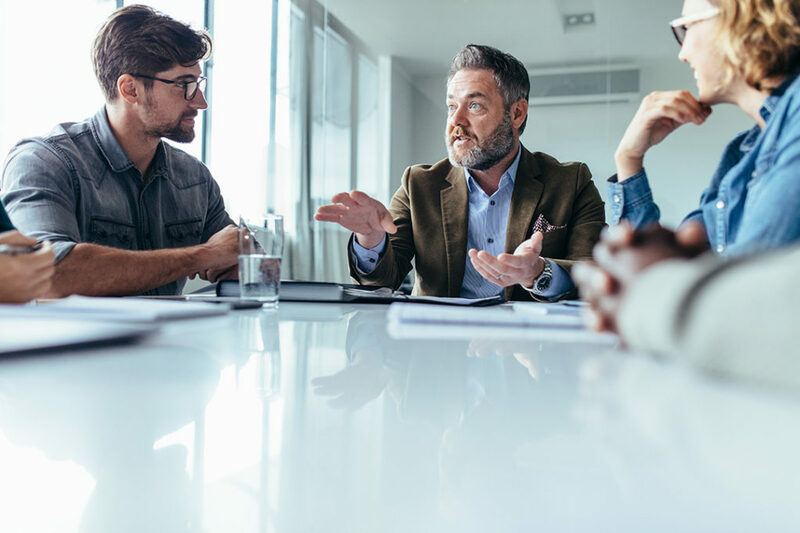 Overall, if this sounds complex and time-consuming, hiring an SEO/ SEM expert for a modest fee will help to maximize your results, ROI, and save you time. When nearly 60 percent of borrowers look for brokers in online searches, you can’t expect to grow your business without a solid set of search engine strategies to make sure you are connecting with prospective clients who are actively seeking the services you provide.